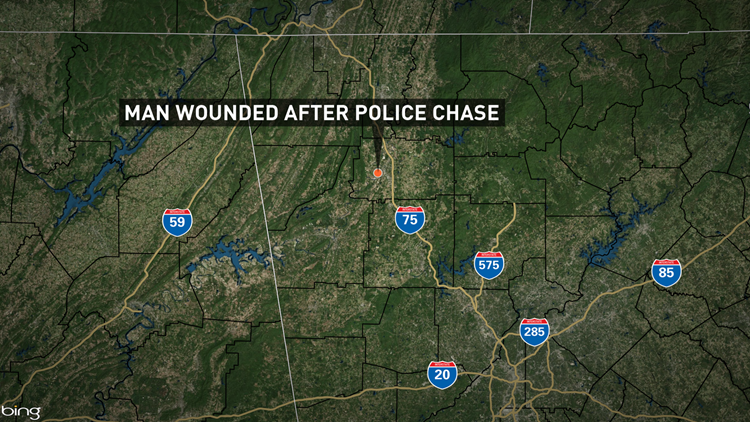 The GBI says the suspect continued to ram the state trooper's car with his own vehicle. The trooper then fired once into the driver's side window. A police pursuit in Gordon County early Sunday ended with the 35-year-old driver suffering a gunshot wound in the hand and an investigation by the Georgia Bureau of Investigation of the incident. 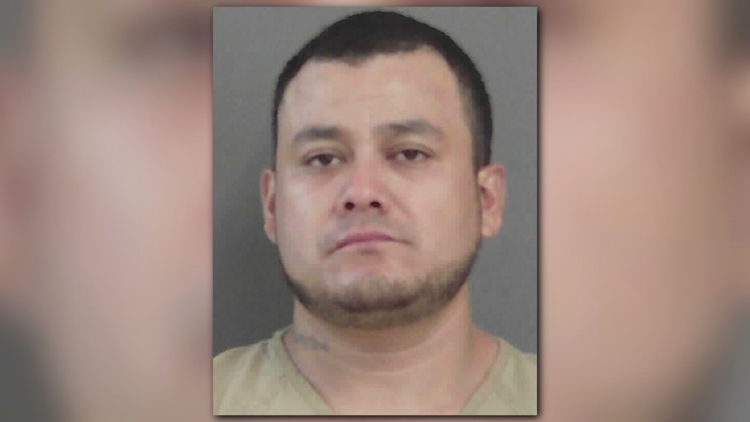 According to a GBI report, the incident began at about 12:09 a.m., when a Gordon County deputy attempted to stop a vehicle being driving by a 35-year-old Calhoun man, later identified as Santiago Alberto Franco Marquez. When the vehicle didn't stop, the chase was on. The chase continued for about 15 minutes, involving the Gordon County Sheriff's Office, the Georgia State Patrol and the Calhoun Police Department, and ended when Marquez's vehicle struck the Georgia State Trooper's vehicle and the Gordon County deputy's vehicle near the intersection of Harris Beamer Road and LaVista Drive in Gordon County. The trooper got out of his car, while Marquez continued to ram his car. According to the GBI report, the trooper fired a single shot into the window of Marquez's vehicle. At that point, Marquez hopped out of the passenger side of his vehicle and tried to run off. About 100 yards away, he was tased and apprehended by a Gordon County Sheriff's Deputy. The GBI says Marquez received a hand injury and was transported to Floyd Hospital for treatment. He was later released to the Gordon County Sheriff's Office and has been charged with aggravated assault on an officer, attempting to elude and other traffic violations. Once the GBI completes its independent investigation, it will be turned over to the Cherokee Circuit District Attorney for review.